Updated Thursday December 1, 2016 by BEN BARRS. Midland will be in the Pine Ridge Christmas Parade THIS SATURDAY!! 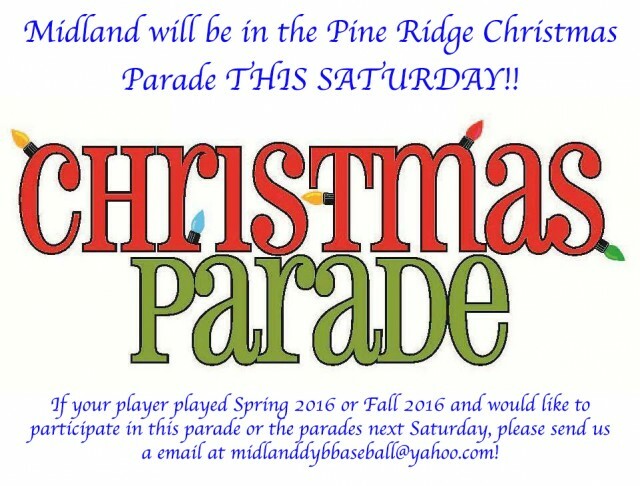 If your player played Spring 2016 or Fall 2016 and would like to participate in this parade or the parades next Saturday, please send us a message on here or email us at midlanddybbaseball@yahoo.com!